General surgery is a medical specialty that focuses on the surgery of the areas of the abdomen — including the esophagus, stomach, pancreas, and other abdominal organs. 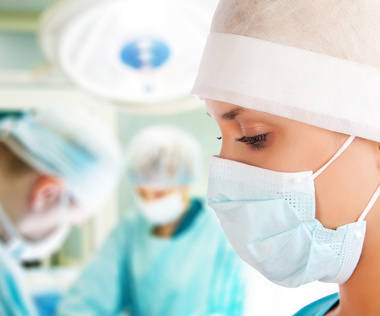 General surgeons often also deal with surgery related to the skin, breast, soft tissues, and hernias. General surgeons are trained to perform surgeries on almost any part of the body — including organs and body systems — and especially of the soft torso region. Some of the most common surgeries that a general surgeon will perform are hernia repair, abscess lancing, and many types of cancer and cyst removal procedures in the pancreas, stomach, bowels, and skin. 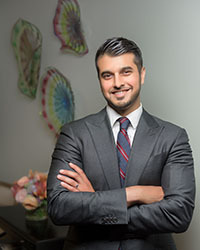 Before a surgical procedure, general surgeons work with other doctors to create a personalized treatment plan for the patient according to their unique case. General surgeons are trained to understand and take steps to lower the risks involved with a number of medical conditions when performing surgeries. They must understand the basics of anatomy, physiology, pathology, how wounds heal, fluid management, shock treatment, resuscitation, and how to help the patient manage post-operative pain. After earning an M.D. (Doctor of Medicine) or D.O. (Doctor of Osteopathy) from an accredited medical college, physicians wishing to become general surgeons must enter a general surgery residency. These programs typically last 5 years, during which physicians will study under experienced general surgeons. Once the residency has been completed physicians must pass the United States Medical Licensing Examination to be able to practice independently. Once they have become licensed to practice, general surgeons can choose to become certified by the American Board of Surgery.